The total loans of RCom Group (on September 30, 2017) were Rs 40,052 crore. New Delhi: Reliance Communications on Friday sought shareholders' approval to sell its assets including spectrum, tower, optical fibre network and other wireless infrastructure. The approval for sale, disposal of assets or of its subsidiaries has been sought through a postal ballot, and e-voting will take place between January 17 and February 15. "The results of the postal ballot will be announced on or before Saturday, February 17, 2018," the company said in a regulatory filing. The total outstanding loans of RCom Group, as on September 30, 2017 were about Rs 40,052 crore. RCom said that it had initiated a monetisation exercise that entailed wireless spectrum, towers, fibre, media convergence nodes, and real estate assets including Dhirubhai Ambani Knowledge City campus, Navi Mumbai. "Based on final recommendation of EC (Bid Evaluation Committee), Reliance Jio Infocomm Limited (RJIL) has been identified as the successful bidder. RCom Group has entered into binding agreement with RJIL for transfer/sale of wireless spectrum, towers, fibre and MCNs and other related infrastructure assets...," it said. The process of monetisation of other assets is "ongoing" in consultation with the lenders. 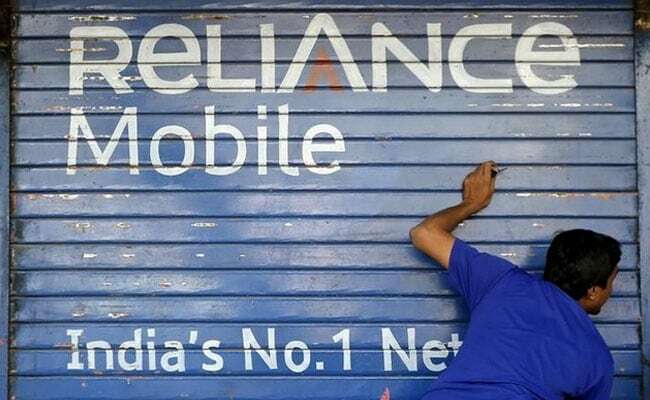 The assets monetisation includes transfer or sale of wireless spectrum of Reliance Telecom Limited, a wholly owned subsidiary of the company, RCom said. "...the company cannot, except with the consent of the shareholders by way of special resolution, sell, lease or otherwise dispose of the whole or substantially the whole of the undertaking of the company...," RCom said. It may be recalled that on December 28, the company announced that Reliance Jio will take over its mobile business assets -- spectrum, tower, optical fibre network amongst others, and that the proceeds will be used to repay debt. While the two companies did not disclose the deal size, banking sources had pegged the transaction value at Rs 24,000- 25,000 crore. After the asset monetisation is concluded, RCom will focus on enterprise business, including Indian and global enterprise, internet data centres and the largest private submarine cable network in the world.